Kirini Santorini is located in Santorini in the village of Oia, overlooking the magical Caldera. 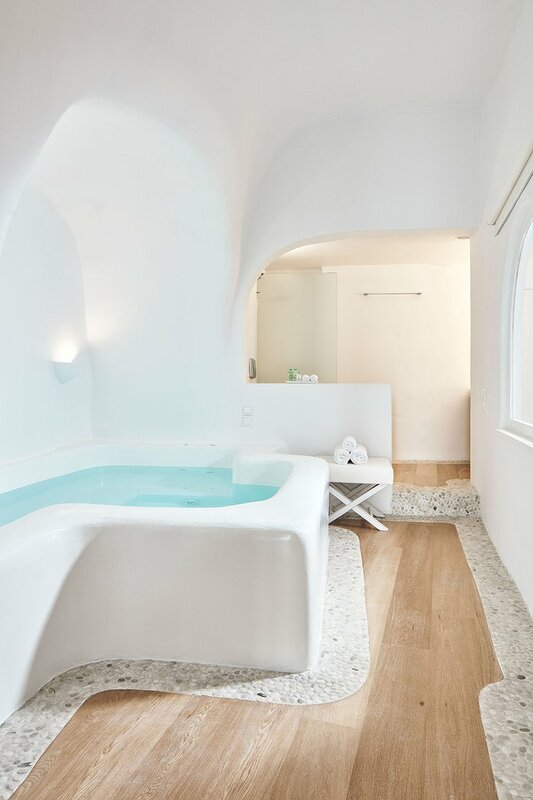 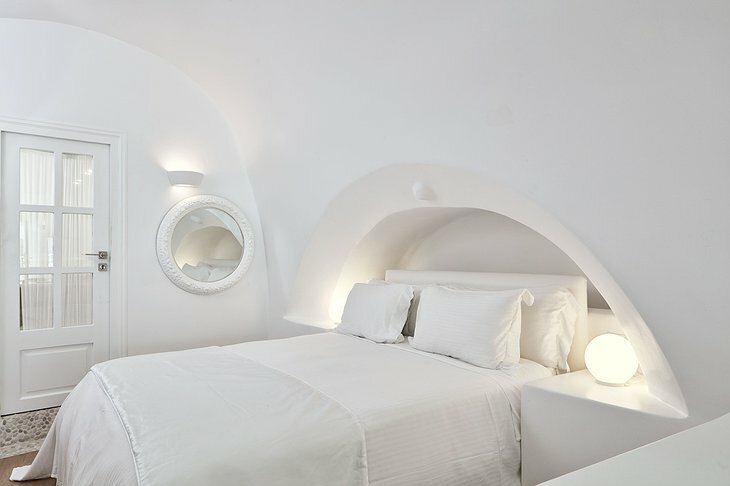 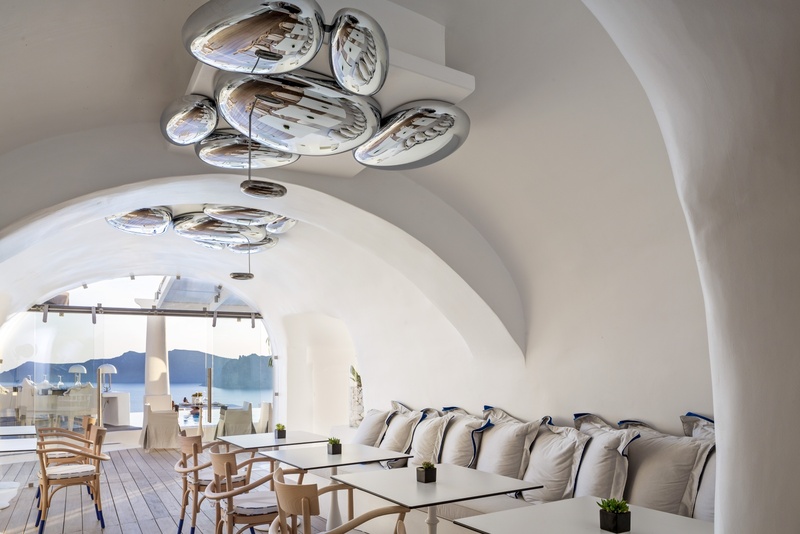 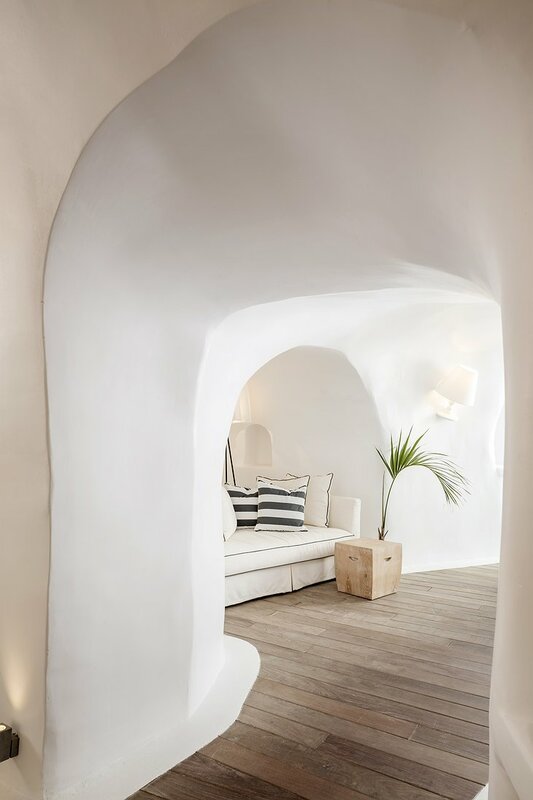 The pure white minimalist interior with its curvy walls is a great example of the Cycladic architectural tradition. 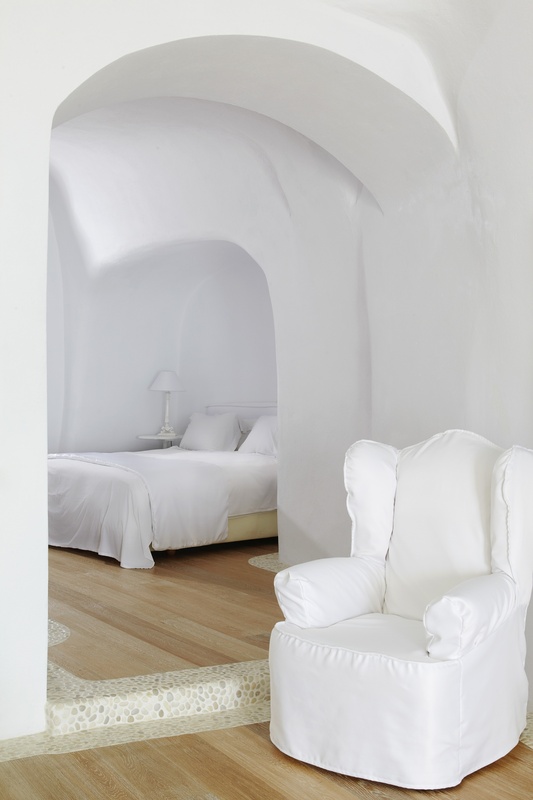 This characterful boutique hotel has 7 suites to choose from. 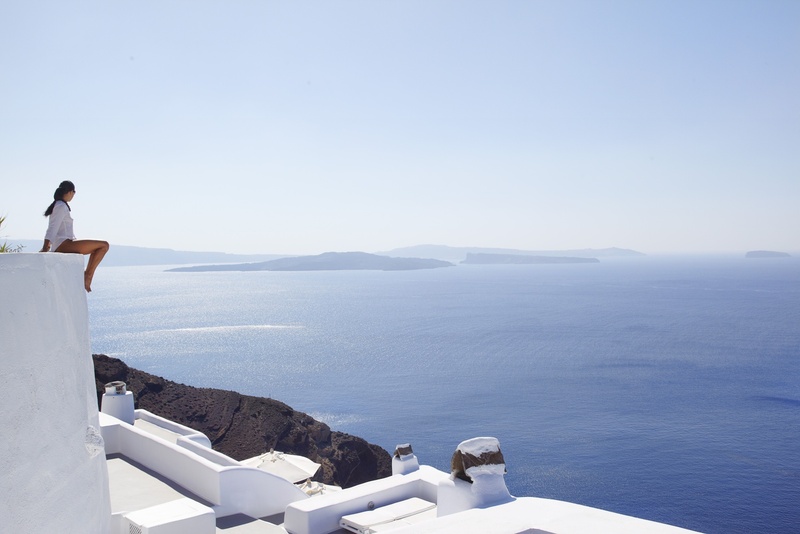 The fluid, multi-levelled architecture gives each suite majestic panoramic view on the blue waters of the Aegean Sea and the Caldera from their verandas. 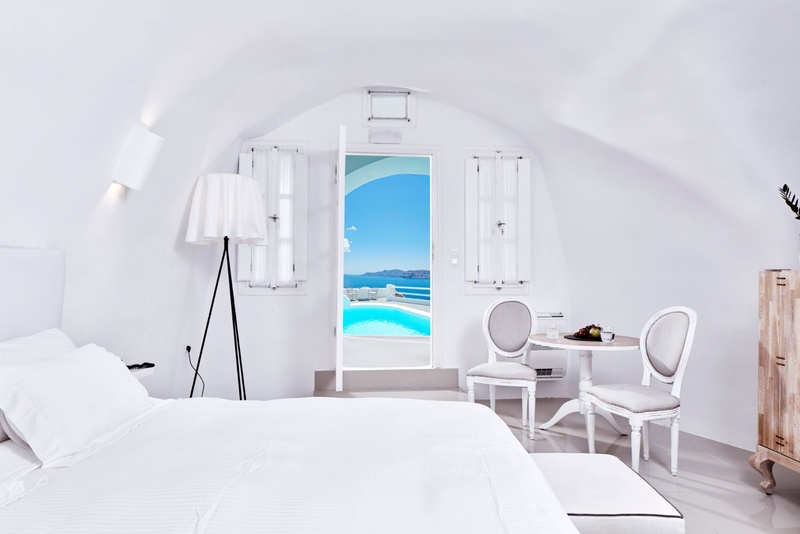 Choose the Wet Junior Suite, Superior Suite, Honeymoon Suite or the Kirini Suite and you can enjoy the same view from your jacuzzi. Want something bigger? 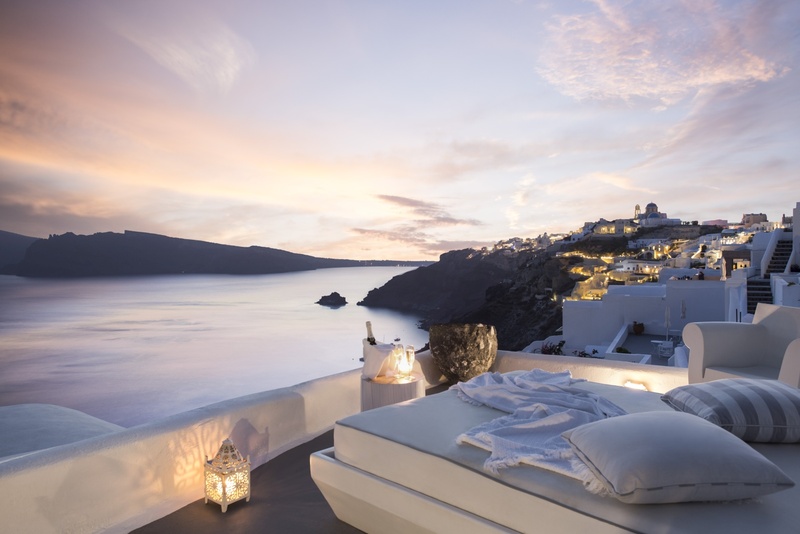 Go for the Master Suite and you'll be rewarded with a huge outdoor plunge pool. 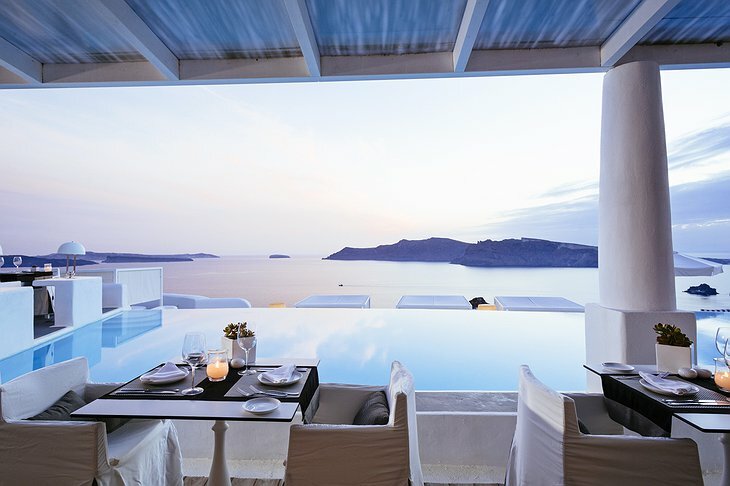 Greek and international specialties are served at the The Pool Lounge & Cocktail Bar and if fine dining is what you are after, then Anthós Restaurant is your place. 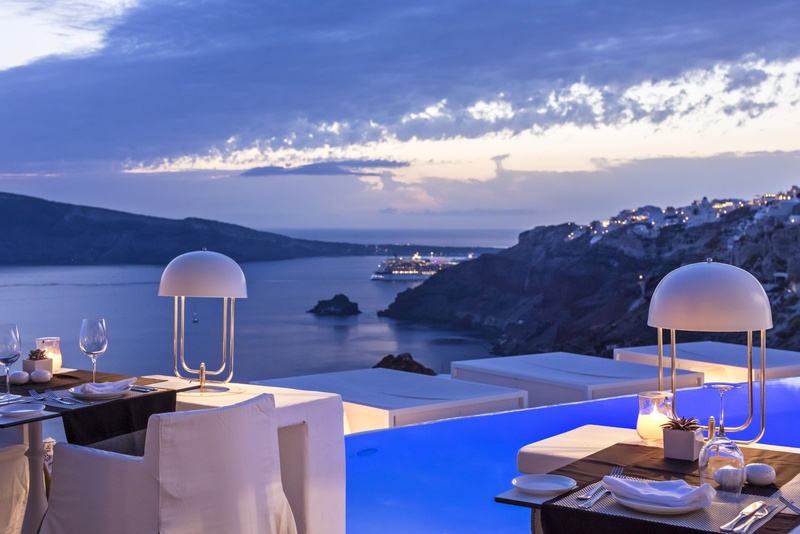 Wine tasting during sunset is what Santorini is about, and Kirini has a great selection to enhance this experience. 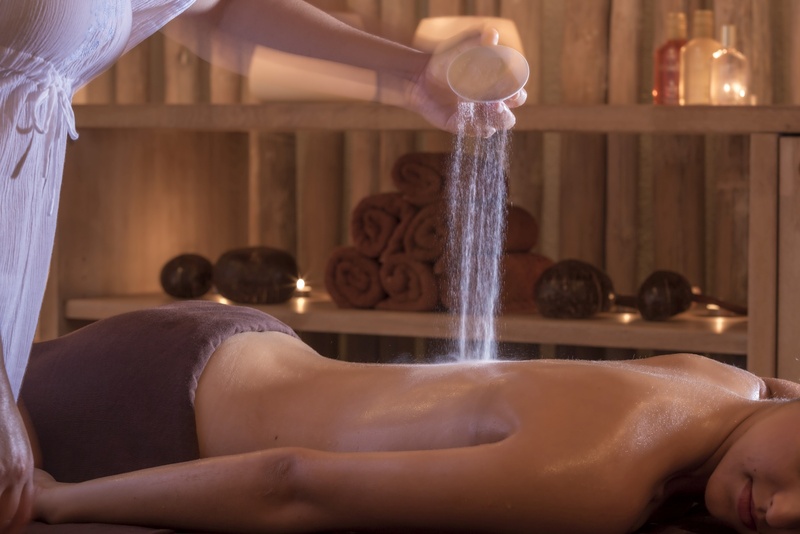 A.SPA is the luxury spa of the hotel and offers massages and a variety of body treatments along with a sauna, steam room, jet showers, jacuzzi and a heated indoor pool. 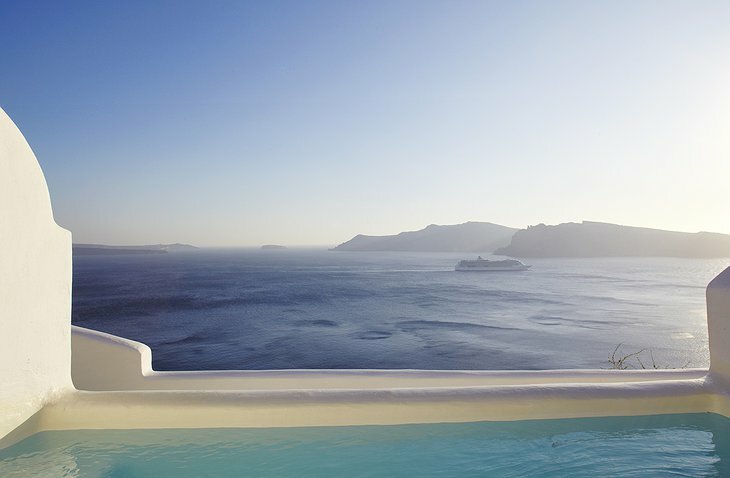 Head outside and an outdoor swimming pool awaits you with the spectacular panorama.